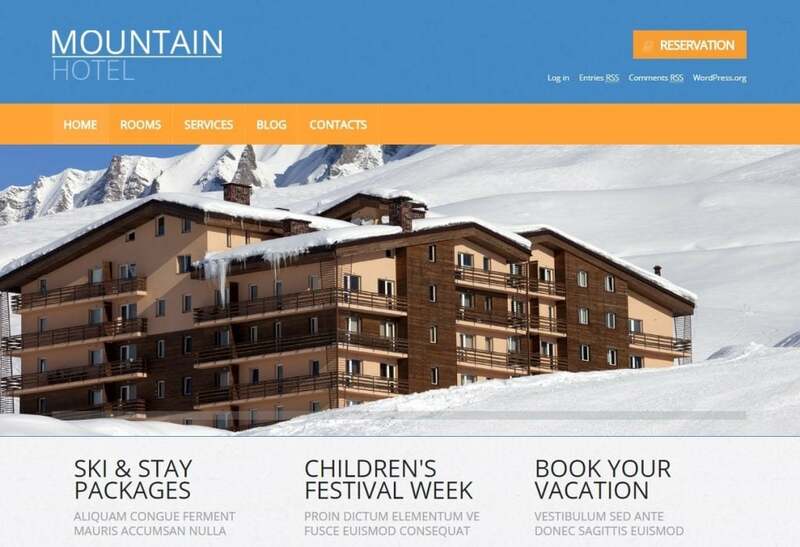 In this era of Internet technology it is essential to have a website for any business including the tourism and rental trade. A flexible, easy to use and eye-catching web page will allow your clients to have a quick look at the services you offer. 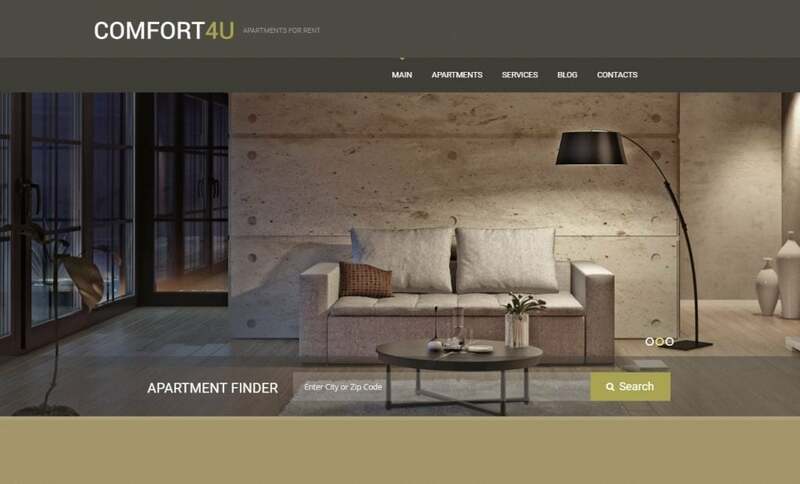 Make sure that the site is functional enough and includes all critical information usually requested by people who are looking to rent accommodation. 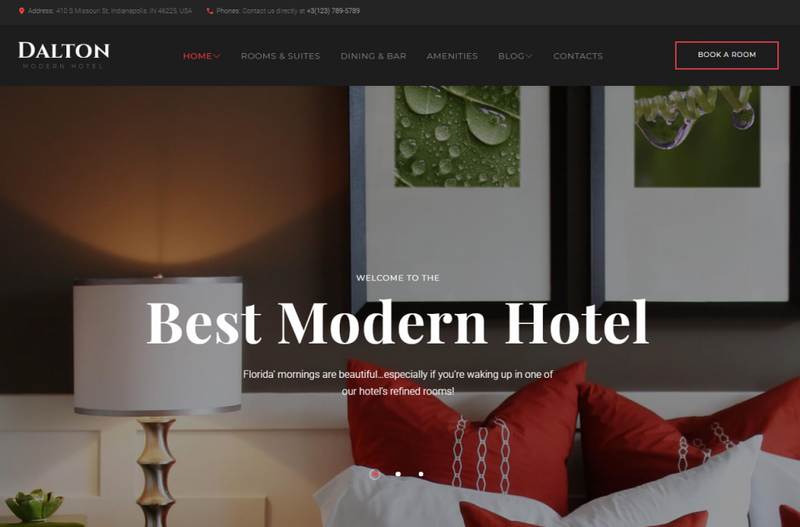 By using booking WordPress theme, you will be able to build a professional website, showcase rental properties presenting their best aspects and offer convenient and user-friendly ways of booking. 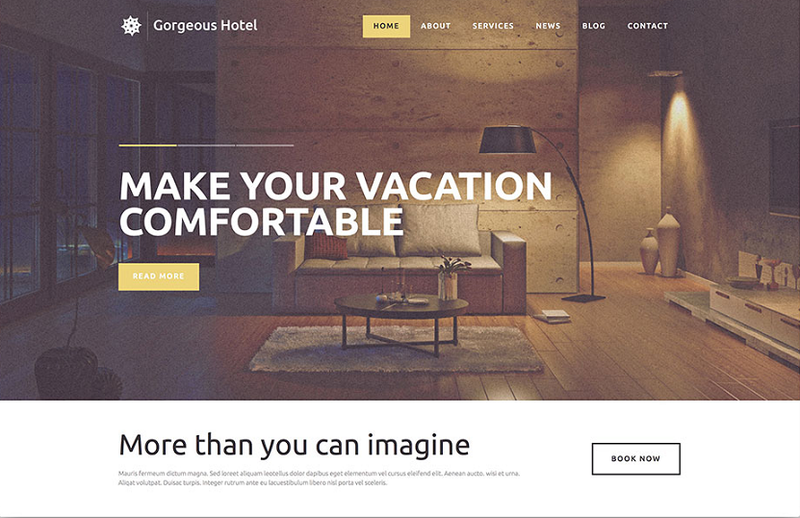 This theme was developed to be used for BB (bed & breakfast), hotel, hostel, vacation room/apartment, resort rental services. It is straightforward and flexible with a preset for a customization. Among other specifications are the following. Drag & Drop Interface, Powerful Page Builder, and Visual Composer. Completely Responsive Design suitable for tablets and smartphones along with desktop monitors. Customized Typography including more than 600 Google fonts. 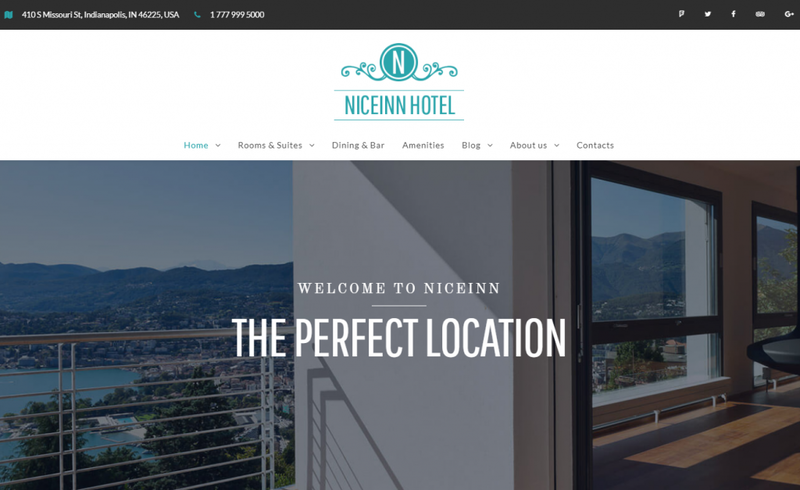 This theme was created to be used for hotel sites, yet is available for various businesses and services. Cross-browser compliant and SEO-optimized this template is the right choice if you want to create a serious online presence for your company. Drag-and-Drop Page Builder together with presets library and more than 25 content modules. Ecwid ready to add an online store. Custom widgets e.g. post carousel and simple slider. 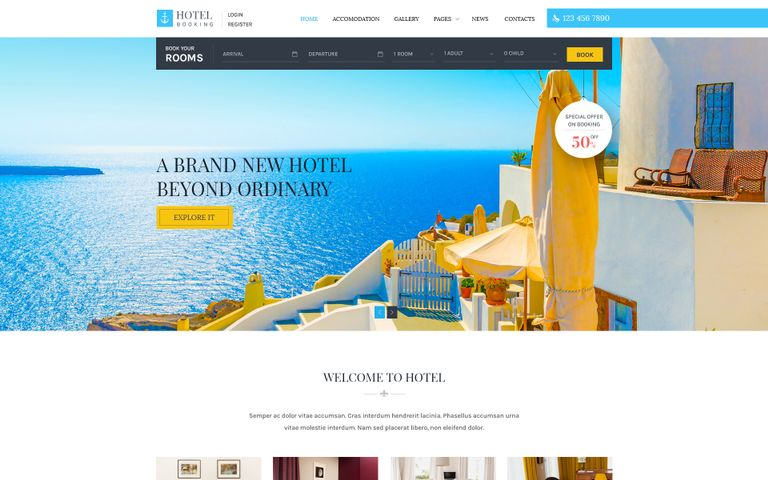 This theme is available for villas, apartments and guesthouses. 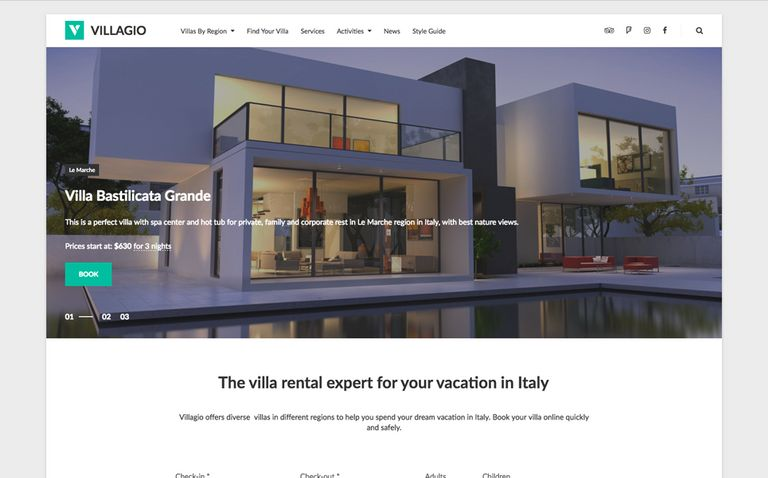 Villagio is a fully customizable template which does not require touching a code when editing. You may also add your properties with the appropriate information and photos through the integrated plugin. Be aware that Villagio does not support hotel chains. 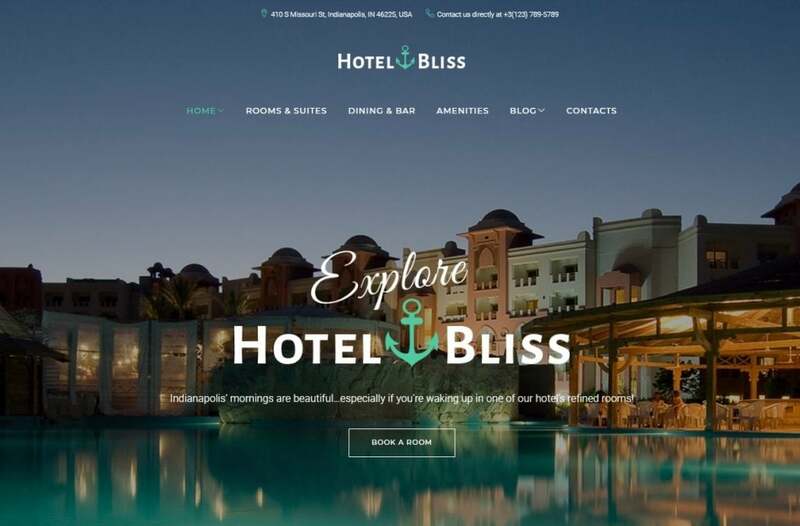 MotoPress Hotel Booking plugin enabling live reservation. Multiple Accommodations: Rent Out in different locations. Just add your properties as an alternative accommodation type. Real-Time Search Availability Form i.e. the list of available accommodations is always up-to-date without manual adjustments. Online/offline payment through PayPal, Braintree, 2Checkout and others. After-arrival payment is also available as an option. 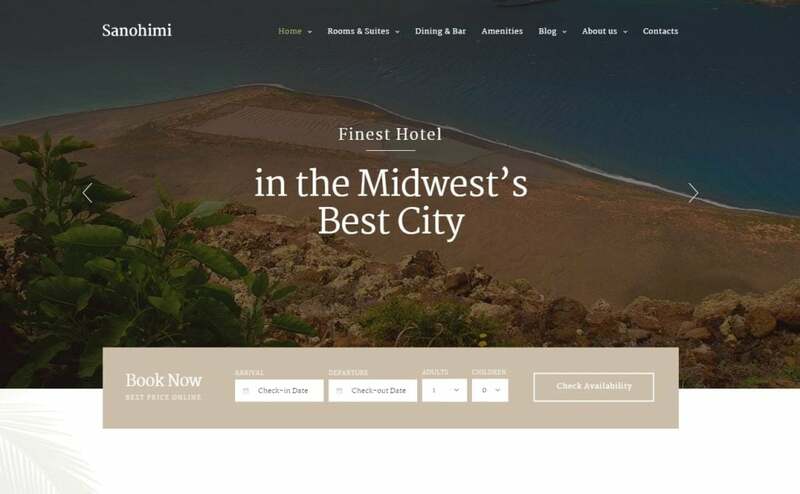 A wide range of layouts, from full-width to full-width grid templates. If you are an estate agent, you know that it is quite hard to set up and then run a pleasant-looking estate agency website. 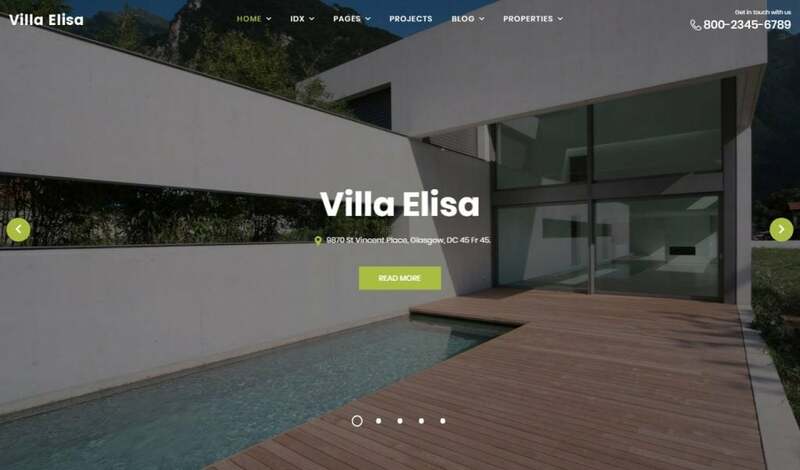 We have prepared some outstanding Real Estate WordPress templates to let you spend the hours you save on other useful things connected with your business. 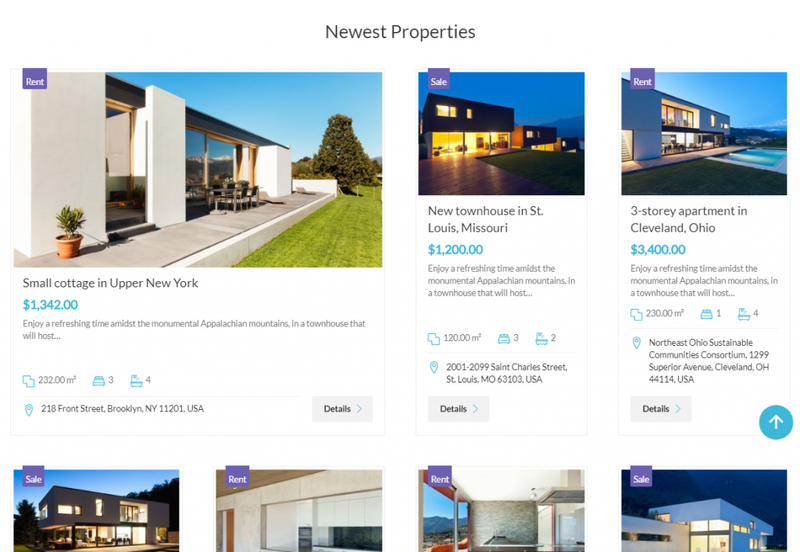 A fully responsive WP theme with a fascinating design featuring a powerful catalog which provides the buyers with easy-for-the-eyes property reviews. Large set of layout options. 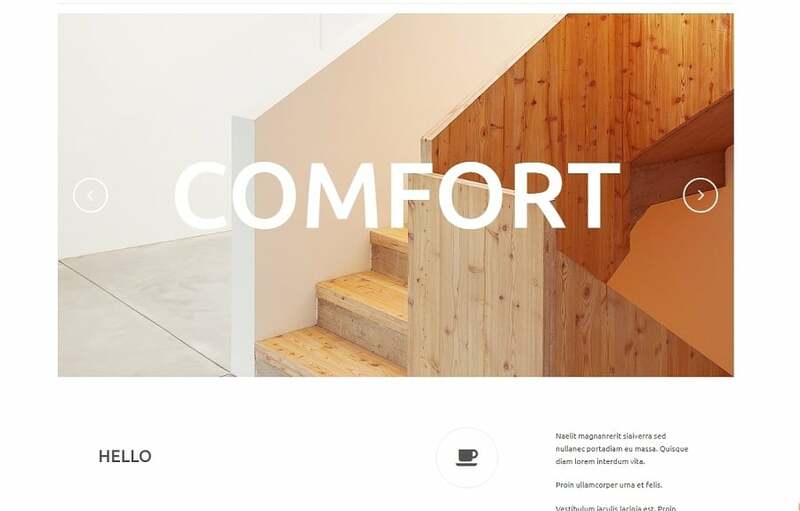 Conforms to the latest web design trends. Over 500 Google Fonts available. Clean Code means for you that carefully commented it will let you understand the purpose of any element with no hassle. 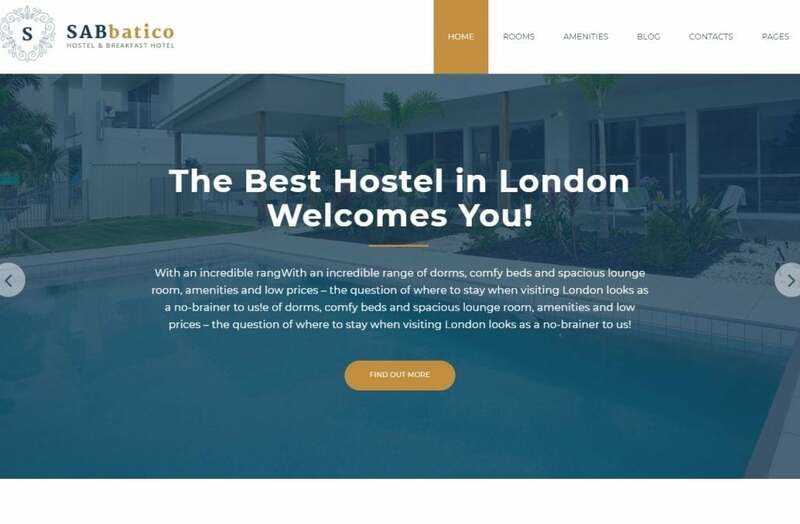 This is one of the rental WordPress themes which is highly recommended if you wish to make an unforgettable first impression. This template has a pastel color scheme which is pleasant on the eyes. Responsive Design which adapts to any gadget with any display size. Parallax Scrolling will make visitors return. A slider as a perfect attention grabber. Auto-updater ensuring your website is always up-to-date. Online Chat where clients have all their questions answered in a friendly manner. FAQ, Portfolio and Testimonials Pages. 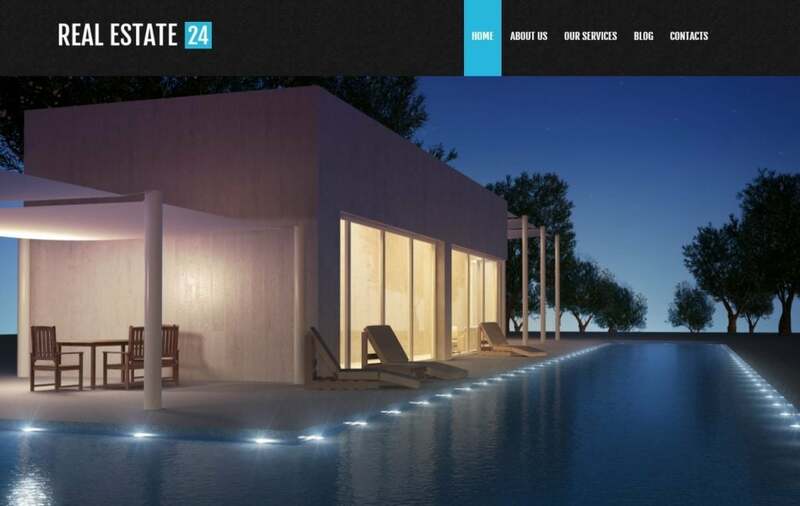 A WP theme with a minimalist yet modern and premium design offering unique functions required for any real estate site. The following features make CozyHouse competitive with the other themes. Content Modules enabling the addition of various content types to a page. IDX Support. Note that the dsIDXpress plugin is not included in the package and needs to be installed separately. Over 500 Google Fonts for design customization and adjustments. Competent presentation of your business is the first step if you wish to be ahead of your competitors. 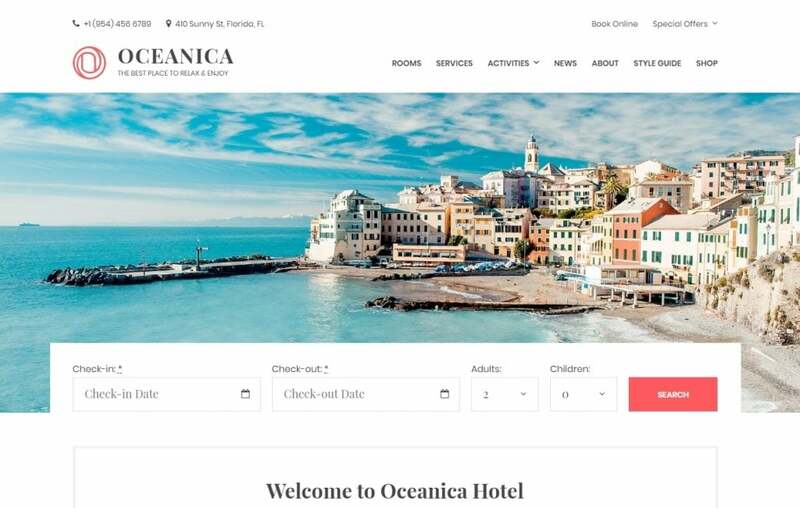 Pick one of our flexible and modern themes for your online resources and get more than just premium quality designs, get the way to make your business profitable.